Yesterday we launched a new timesheet system on PARS. The new system should be easier and less complicated for volunteers. The new system will eliminate the need to sign and submit separate timesheets on a monthly basis. Instead, volunteer hour timesheet submissions are embedded in the “Add Record” form and an e-signature is applied for each day when submitting your record. You can review your timesheets under My Account. When you select a date that has no former records submitted, a timesheet box will appear on the bottom of the “Add Record” form. Adding a date triggers the timesheet form for dates you have not entered previous time for. Enter all time spent volunteering on that date. Upon hitting the submit button you acknowledge that you are signing a daily timesheet that will be generated for PARS volunteer match. Timesheet form at the bottom of Add Record when a new date has been selected. 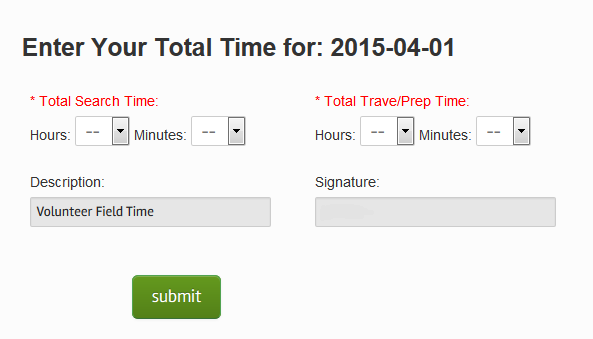 Enter your Search and Travel/Prep time by using the Hour & Minutes dropdown boxes. Once you have submitted time for a date, you will not be prompted to submit volunteer hours on additional records with the same date. To see your time for the month or previous months you can go to the My Account button and select the Timesheet Forms button. Here you will be able to see the time you have entered for the current month or select a previous month to view and/or download a CSV of that month. If you spent time herping but collected no records, participated in a PARS/MACHAC event or other activities that count as volunteer time, you can use the “Extra Volunteer Time” form by clicking the “Add Extra Time” button. In the “Extra Time Submission Form” you will be asked to enter the date you volunteered, the total time , the activity (if you do not see an appropriate choice, choose “Other”). For some exciting new scheduled events coming up for PARS for the year. Open to the public and volunteers, join us for our PARS Introductory Presentation, PARS Workshops and Herp Walks. We hope to see you there. Call (814) 833-7215 to make reservations. Call (570) 689-9494 to make reservations. 226 Frogtown Road, Pequea, PA.
To keep up-to-date on Events visit our events page. PARS volunteer John Jose discusses the Pennsylvania Amphibians and Reptile Survey (PARS) on WHFF 90.5fm Saturday morning shows, “Farm and Country”. John’s interview starts at the 18 minute marker. Thanks John for your volunteer efforts and for doing a great interview for PARS. For some exciting new scheduled events coming up for PARS for the year. Open to the public and volunteers, join us for our PARS Introductory Presentation and Herp Walks. We hope to see you there. 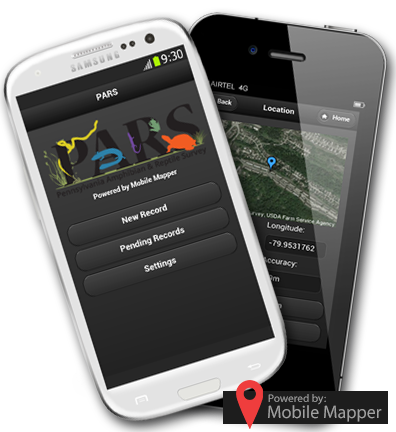 We are pleased to announce the release of the mobile app created by mobile mapper to work with PAHERP. The mobile app will allow you to take records in the field and sync them to the database. Members will be able to access the mobile page to find the download links for Apple and Android along with the information you need to connect the app to your account. All of the reptiles and amphibians identified last weekend during the first Upper Delaware BioBlitz (www.UpperDelawareBioBlitz.com) will have the double honor of being counted twice, first as residents of the Norcross Wildlife Foundation’s property in Starlight, PA, and also in the recently launched Pennsylvania Amphibian and Reptile Survey (PARS). 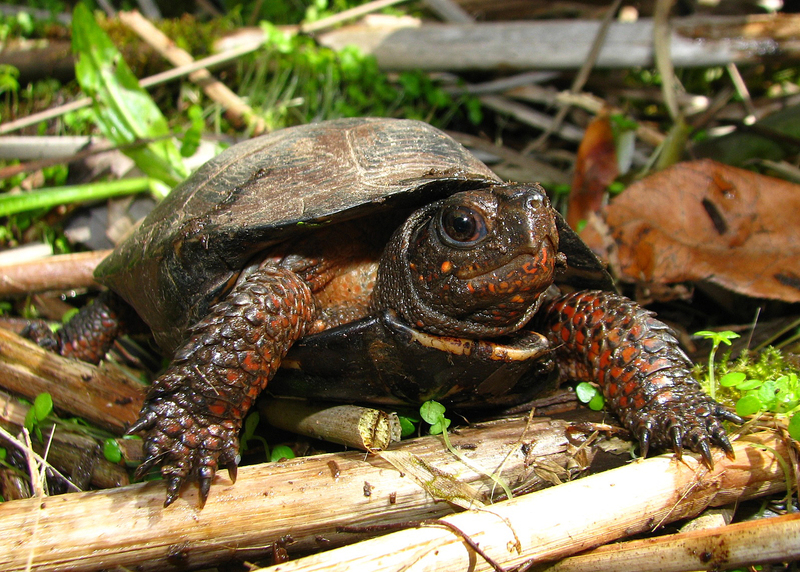 The Mid-Atlantic Center for Herpetology and Conservation (MAC HAC) is partnering with the Pennsylvania Fish and Boat Commission in a 10-year project to establish a new amphibian and reptile atlas and are reaching out to all Pennsylvania nature enthusiasts for help. A primary goal is to build an “army of citizen scientists” to help identify the distribution of herps throughout the state to enable better monitoring of changes to populations and ultimately provide more effective protection to them. Amphibians in particular are sensitive to environmental changes and all herps are increasingly impacted by loss of habitat. Representatives of MAC HAC were on hand during the bioblitz, where more than 970 distinct species were identified in nine categories such as birds, fungi, mammals and more. To see some of the species catalogued by the BioBlitz Herp Team, visit paherpsurvey.org/search.php?r_county=803. Learn more about how you can get involved at www.paherpsurvey.org. Amphibians and reptiles are misunderstood animals that are more important to humans then most humans even realize. Reptiles and Amphibians (particularly amphibians) have been recognized by science as animals that are sensitive to changes in the environment, changes that will affect us indirectly (e.g. through ecosystem simplification or collapse due to the loss of amphibians and reptiles) or directly (e.g. chemicals put into the environment that can directly harm humans). Increasing population and urbanization are making life difficult for our amphibians and reptiles (collectively called ‘herps’ by some). Fortunately, awareness about herps dramatically increased over the past decade due to improved education efforts, and, in particular from television programs starring folks like Jeff Corwin and Steve Irwin that brought the adventure of field herping to the family living room. Even with the upwelling of support, we know very little about the distributions of amphibians and reptiles. How can we monitor changes to amphibian and reptile populations and effectively protect them if we don’t even know where they are found? Please consider volunteering for PARS, we really need your help. People of all backgrounds and experience levels are encouraged to volunteer. Together, we can build and army of citizen scientists that can make a difference for the herps and the great state of Pennsylvania. 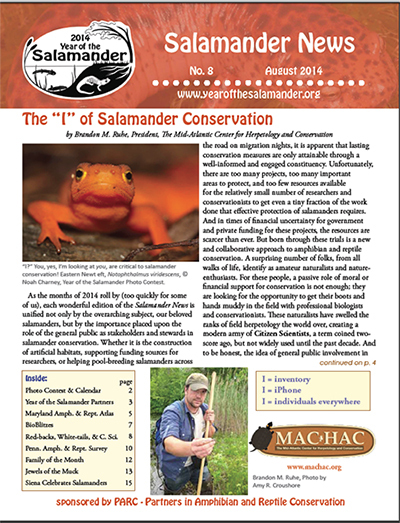 Log on to www.paherpsurvey.org and sign-up to begin the fun. We can’t do this without you. 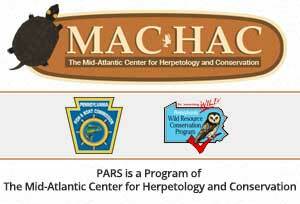 The PARS project is sponsored by the Pennsylvania Fish & Boat Commission (via the U.S. Fish & Wildlife Service’s State Wildlife Grants program), with additional funding from the Pennsylvania Department of Conservation and Natural Resources, Wild Resources Conservation Program. Please support these wonderful state resource agency programs.